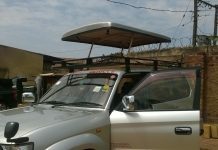 I first consulted and searched for the best car renting company in Uganda which would give me the best services during my self-drive tour. I found out that a 4×4 car hire Uganda would be the first choice on every tourist’s agenda who wants to self drive in Uganda as it offers very reliable vehicles and the good communication system among the team. I communicated to the company tour consultant (Konde Moses) asking him the types of vehicles distributed by their car renting company to their clients and he replied ‘’we offer vehicles like Prado, Rav4 with sliding roofs, Land cruiser, Safari vans, Super custom, Premio and Coaster buses’’. I told him that I would like to use the Rav4 which he made my wish to be his command thus preparing for me the Rav4 vehicle. All bookings were done on email and I had to pay a 50% deposit to ensure Konde Moses that I was serious such that he may plan my tour thoroughly well which he indeed did. After knowing the car renting company which I was to use, I then asked Mr. Moses the best places for my tour because I wanted to see a variety of African wildlife and bird life. He replied to me via email that the best place for that was Kidepo valley national park of which I told him to help me get the tour company for me in order to book for me a safari tour in Kidepo valley national park. He told me never to bother myself because their car renting company also offers free bookings, airport transfers, air ticketing, hotel reservations, gorilla permit bookings and chimpanzee permit bookings plus tours and safaris in East Africa which I found interesting and surprised. Since I had known where to take my tour from and had a valid driving license, I waited for the day of my tour and when it reached I had to set and take a flight to Uganda. 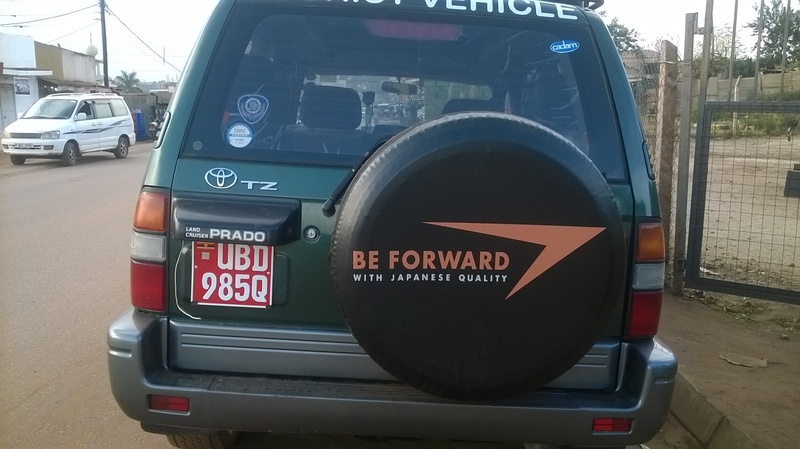 On reaching the Entebbe airport, i met with the driver from 4×4 Car Hire Uganda, after sharing greetings at the airport then we moved from arrival straight up to where the booked Car is, made my payment for the rental and after it was handed over to me for use on my Self Drive Safari in Uganda. The vehicle consisted of a GPS which was to direct me to my desired place. They pleaded to me that though I was to use the vehicle temporally, I was to act that it is permanently mine and take good care of it because for any damage caused on it still I was the one to pay. I agreed because I knew that I was not going into a driving car race that I should drive so quickly. I was then taken to my desired and booked hotel for the overnight. In the morning I set off to Kidepo Valley National Park which is found in northern Uganda and I was able to access the Park in the evening at around 05:30pm since I was driving at my own pace adventuring some attractive things which I found on the way while going for my tour in Kidepo Valley National Park. I passed via Mountain Elgon National Park which is found in Mbale (Eastern Uganda) and I saw how big its volcanic base is though I didn’t spend much time there since it wasn’t my desired destination. When I reached Kidepo Valley National Park, I was refused to do the nearby detours due to some insecurities in some parts of northern however in the Park there is a high rate of stability due to the too many security forces which protect the Park. I had to move to my lodge which I was going to stay in for the rest of my days in Kidepo. I stayed in Apoka Safari Lodge and it is really one of the best lodges I have ever been in during my tours. In the morning I woke up and had a cup of tea in a restaurant which is found in Apoka safari lodge and then prepared myself for the game viewing in the Park. You may think that I am exaggerating but the truth is that I saw a variety of wild life in Kidepo valley national!! I was able to see lions, leopards, zebras, giraffes, oribi, Jackson hartebeest, cheetah, hyena, Nile crocodile, bush buck, bush cat, bush dog, Uganda Kob and many more. It was really an amazing tour for me because I have never came across a beautiful photogenic plus like Kidepo Valley National Park. To me, it is absolutely among the top most photogenic destinations in the whole world because the Park is made of a brilliant, beautiful and amazing landscape plus its good looking sandy landscape. The seasonal Narus River and Kidepo River plus the Morungole Mountain are among the features which make Kidepo very photogenic. Leaving alone that, the Park consists of a high number of bird species which ranges to almost 500 and these also gave me a brilliant view and made my tour a memorable one. Besides game viewing and bird watching, I also got involved in many activities in the park such as mountain hiking on Morungole Mountain, nature walks and game drives on the fine landscape of Kidepo. It was really a nice tour which I will never forget because it was a memorable one. I spent four days in Kidepo Valley National Park and through the nature and community walks in Kidepo, I was able to find the local people (Karamajong) who live near the Park and these people were too friendly to me. I enjoyed their amazing dressing code whereby it’s like they put on bed sheets to cover their bodies. They also sang their local songs for me plus their amazing dancing skills. And after my tour I returned back to Kampala without getting any problem and the vehicle itself because I drove carefully. 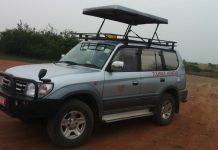 However, I will never forget my tour to Kidepo Valley National Park when I used a 4×4 car hire Uganda. 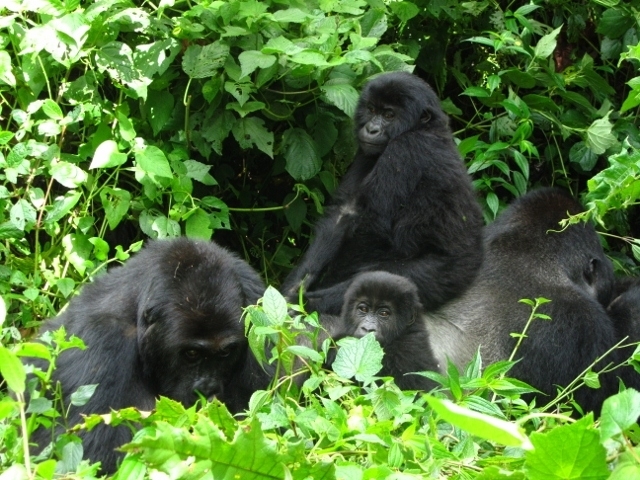 Though the Park is found in a remote area, it is one of the top destinations for your self-drive tour and it will be a memorable one if you choose to book with a 4×4 car hire Uganda because I never got any disturbance during my tour when I chose to use a 4×4 car hire Uganda. Since I had finished my tour, I was escorted by the tour company guide back to Entebbe airport for a flight back to my home country. I emphasize you to also to use a 4×4 car hire Uganda for a great experience from your self-drive safari in Uganda and if you want it to be a memorable one and even start narrating to your friends and relatives the great experience that you will have grabbed in Uganda. It is second to none and for the better planning of your tour, you need to book earlier before it. You will get better services at an affordable price.